Cuyahoga Community College’s Fire Training Academy offers several training options for those interested in the fire and EMS professions. The Fire Fighter I & II training Courses train individuals for entry-level positions in the exciting career of professional fire service. Training includes topics related to the requirements established by the Ohio Revised Code for Career Fire Fighters and the training and educational requirements identified in NFPA 1001. More than 200 cadets participate in this 260-hour course each year. With a student pass rate of 99 percent, Tri-C’s Fire Training Academy is one of the largest and most-respected in Ohio and completion of an academy earns participants 13 credits toward a two-year Associate of Applied Science degree in Fire-Emergency Medical Services. 13 college credits toward Tri-C’s two-year Associate of Applied Science degree in Fire-Emergency Medical Services. Courses completed during training include Fire 1100, Fire 1200, Fire 1500, Fire 2321, EMT 1310, EMT 1320 and EMT 1330. At the conclusion of training all students take the State Firefighter 2 Exam, which is administered on the last day of class. The exam is required for State of Ohio certification as a Level 2 firefighter. 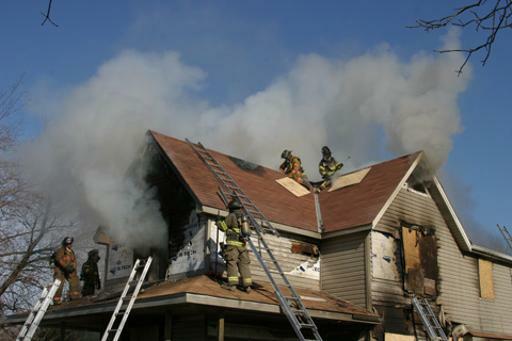 Courses are designed to improve the training levels of the professional fire fighter. Training is specifically designed for the volunteer, part-time and professional fire fighter.